Assess gestational age, threatened miscarriage, recurrent miscarriages, pelvic pain or mass, hyperemesis, previous ectopic pregnancy. Patient to present with full bladder at scheduled appointment time. 1 litre of water to be finished 1 hour prior to appointment time. Patient to present with an adequately filled bladder. Patient to drink 500mls of water 1 hour prior to appointment time. 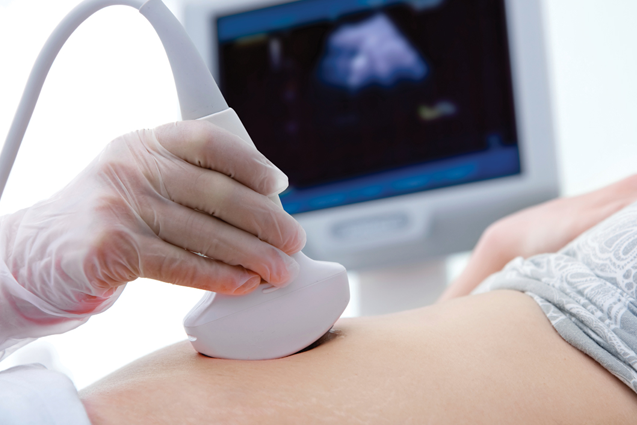 A nuchal translucency scan is an ultrasound scan performed in conjuction with a blood test to screen pregnant women for chromosomally abnormal babies. The test suggests which pregnancies are at higher risk of abnormality and may need further investigation. A normal result does not guarantee a normal baby. An abnormal result does not mean that the baby is abnormal, but suggests that the baby should be further investigated. The ultrasound scan for Nuchal Translucency (NT) is performed between 11 weeks 3 days and 13 weeks 6 days of pregnancy. It is painless and carries no risk to the pregnancy.